Ylang Ylang #1 Essential Oil is an exotic oil that lifts the spirits and has long been sought after for its sensual properties. Ylang Ylang Essential Oil is steam distilled from the freshly picked flowers of the Cananga tree. There are different grades of Ylang Ylang, often determined by the specific gravity of the oil at the time of distillation. Ylang Ylang complete is a blending of the different Ylang Ylang grades of oil (we do not offer this) into one. Ylang Oil is an extremely important oil in perfumery, and is also used for scenting soaps, candles and lotions. This Ylang Ylang Essential Oil #1 from Madagascar is excellent, with a rich, sweet floral fragrance. This exotic oil lifts the spirits, promotes relaxation and has long been used for its sensual properties. 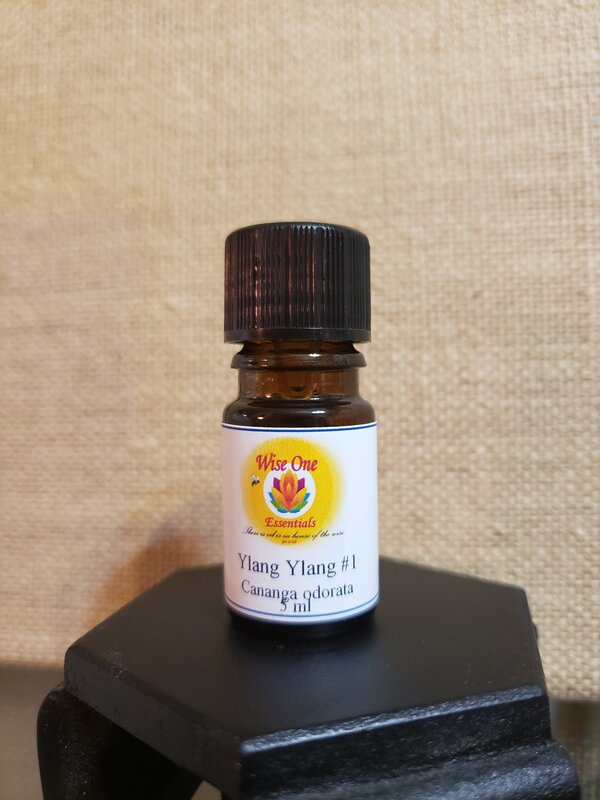 Ylang Ylang oil is a popular essential oil in aphrodisiac blends, due to its soothing and relaxing properties as well as its intoxicating aroma. Ylang Ylang essential oil can help to alleviate feelings of tension and stress and can be helpful in balancing the emotions. Valerie Ann Worwood, in her wonderful book "The Fragrant Mind", describes Ylang Ylang's character as euphoric, sensuous, stimulating, and uplifting. She recommends it to help counteract depression, anxiety, frustration, resentment, jealousy and shyness, and to support emotions of self-confidence, joy, enthusiasm and warmth. For the skin, Ylang Ylang oil is ideal for both oily and dry skin and a lovely addition to a hair rinse [2 drops in rinse water]. Traditional uses include: perfume and aphrodisiac.